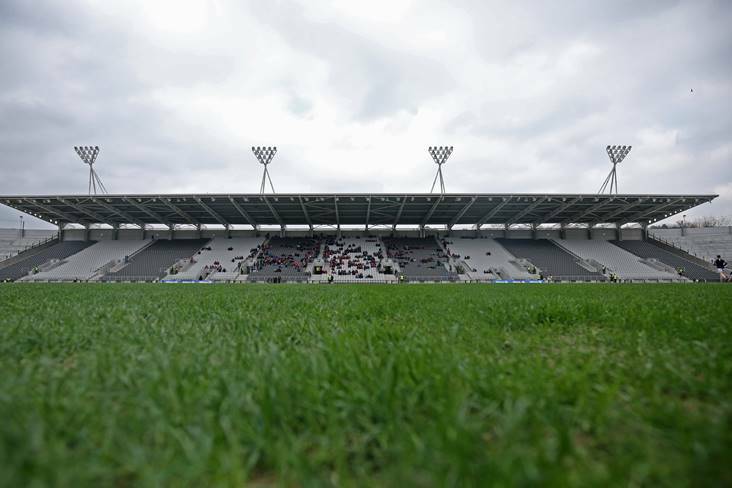 A view of the Pairc Ui Chaoimh pitch before the Allianz FL clash between Cork and Cavan. All 45,000 tickets for the Liam Miller Tribute Match at Pairc Ui Chaoimh on September 25th have already sold out. 7,000 tickets for the original fixture at Turners Cross sold out within a minute of their release last month but an additional 38,000 were made available yesterday, with GAA chiefs finally agreeing to have the charity soccer match - between an Ireland / Celtic selection and a team of Manchester United legends - be staged at the Rebels' redeveloped HQ.. Proceeds from the game are going to Liam's wife Clare and their three children as well as Marymount Hospice. Former Republic of Ireland international Miller, who lost his battle with cancer earlier this year, represented both United and Celtic before returning home to finish his career with Cork City.